Most physicists foolhardy enough to write a paper claiming that “there are no black holes” — at least not in the sense we usually imagine — would probably be dismissed as cranks. But when the call to redefine these cosmic crunchers comes from Stephen Hawking, it’s worth taking notice. 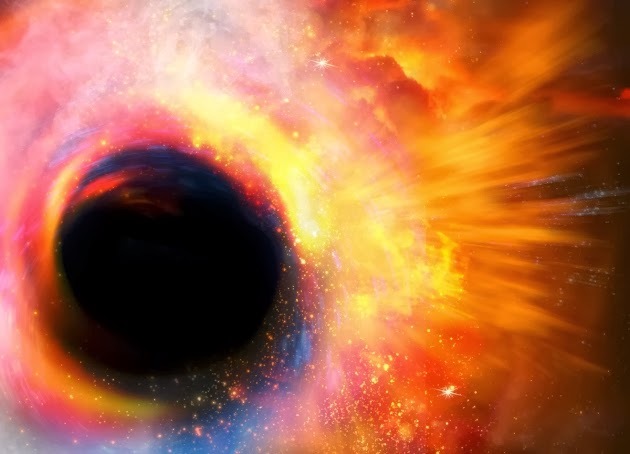 In a paper posted online, the physicist, based at the University of Cambridge, UK, and one of the creators of modern black-hole theory, does away with the notion of an event horizon, the invisible boundary thought to shroud every black hole, beyond which nothing, not even light, can escape. in its stead, Hawking’s radical proposal is a much more benign “apparent horizon”, which only temporarily holds matter and energy prisoner before eventually releasing them, albeit in a more garbled form.